Sugar & Spice 08 oz. About this Fragrance ~ Sugar & Spice and everything nice! 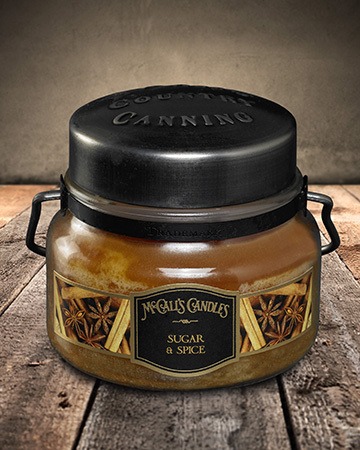 Deep notes of French vanilla, brown sugar and sweet caramel are the backdrop to dustings of ground ginger, cinnamon sticks and clove buds. A splash of sheer lemon brings out the spices and sweet, creamy buttery goodness.